Habana: Instituto Nacional de Cultura, n.d. (ca. 1955). 4to, 16 pp. 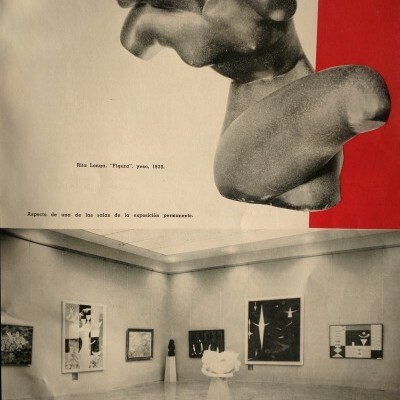 ; chiefly illustrations, with text describing the national collection of modern Cuban art and its installation in the brand new Palace of Fine Arts, designed by architect Alfonso Rodríguez Pichardo in color illus. wrpps., fair: rubbed with creases and warping, some small losses and a damp-stain affecting several pages (but not the images). 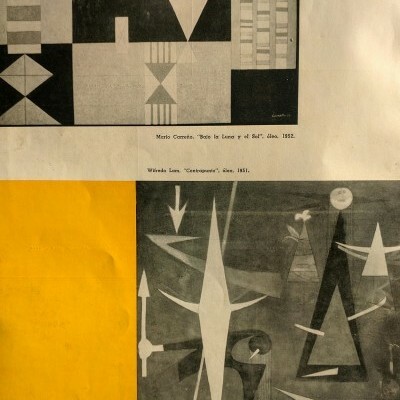 Includes list of painters, sculptors, and printmakers whose work was publicly exhibited in this first iteration of the museum. 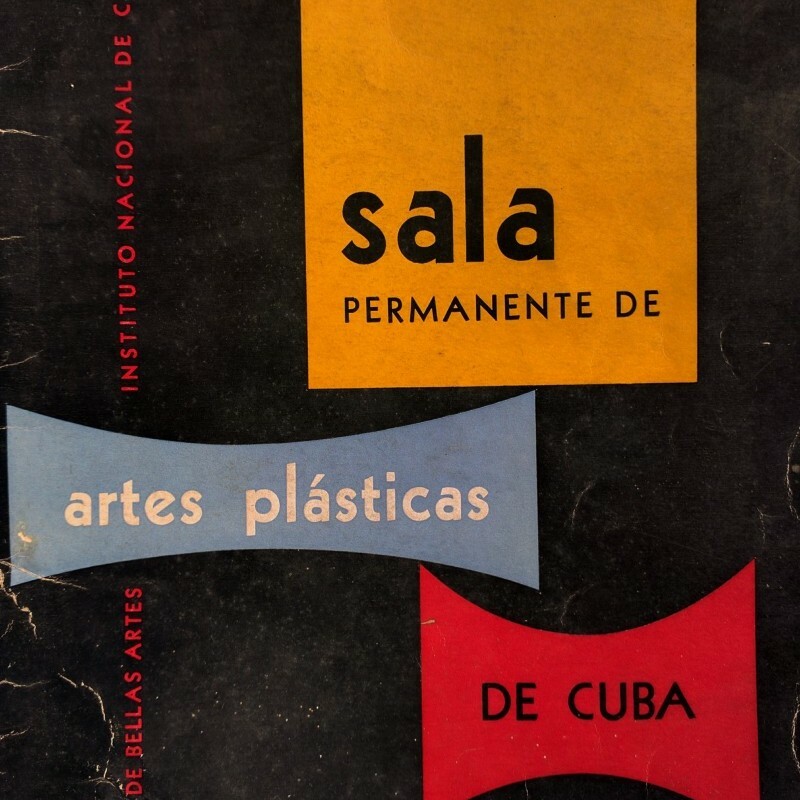 Very scarce celebration of Cuban modern art museum. OCLC locates 3 copies in North America.